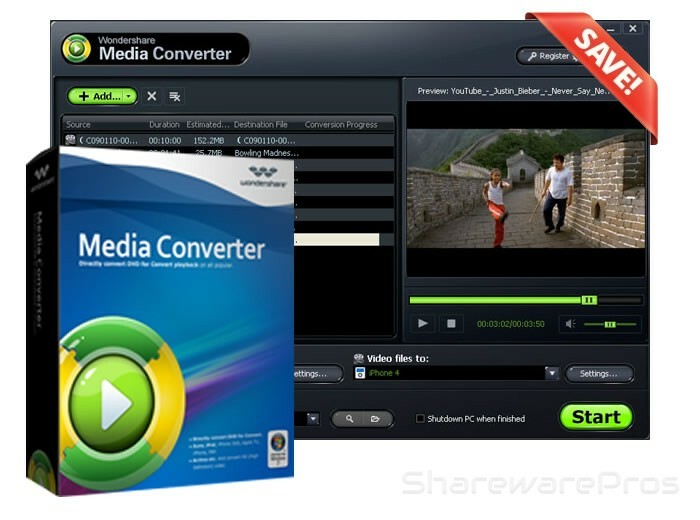 Wondershare Media converter is a powerful DRM Remove Software and DRM converter which focus on removing DRM protection for both protected music and video files with high quality and convert DRM protected video files to plain video, convert unprotected video to all popular video formats. Meanwhile, it can convert between all popular video including WMA, WAV, WMV, M4A, M4P, M4V, M4B, 3GP, AVI, ASF, MP4, MOV, FLV, MP3, AC3, OGG, APE, MKV etc. Furthermore, it can convert HD video (M2TS, MTS, TS, TP TRP) to standard video for playback on iPod, iPhone, Creative Zen, Zune, PSP and other players.